WhatsApp has rolled out a new update for iPhone users which bumps the version of the instant messaging app to 2.18.80. 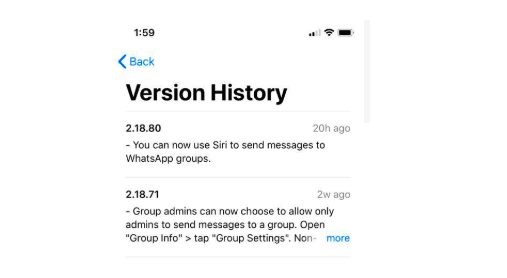 Under this new update, WhatsApp has extended the Siri support within the app to allow users to send group messages by just using their voice. Initially, WhatsApp started supporting Siri in 2016 when users were allowed to send individual messages using their voice, now the same feature is available for groups with this update. Also, the new update will enable the users to see GIFs and images from the notification panel, and they will be able to use the Peek and pop gesture on the notification banner itself to do so. The Siri integration had been present on WhatsApp for iOS since September 2016. 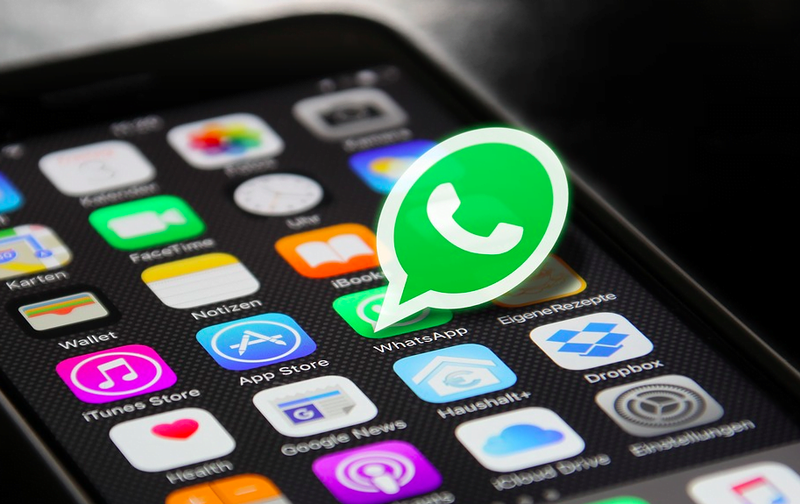 However, the extension for groups hadn’t been there which meant that until now WhatsApp users on iPhone were unable to send messages to groups using their voice. Now that won’t be the case. If you want to send a message to any group on your WhatsApp, you can only say “Hey Siri” or long press your home button and then say “Send a message to WhatsApp group [name].” Siri will then show you a list of WhatsApp groups with similar subjects after you’ve tapped and selected from your desired WhatsApp group you can say the message and directly send it. WABetaInfo, the popular blog about WhatsApp’s latest developments, has also said that another feature accompanies the version 2.18.80 which is the peek and pop feature on the notification banner. This new functionality will allow the iPhone WhatsApp users to view the received images and GIFs in the notification panel itself. WABetaInfo has also said that this new feature will work when the media auto-download has been turned off, and they’ve further noted that the feature will only be spotted on phones with iOS 10 or above. It is mainly possible that this new feature will be brought to WhatsApp only by a server-side update. As for the latest version 2.18.80 of WhatsApp, it is available in the Apple App Store in a 166.3MB package for devices which are running iOS 7.0 and above.